Culture, natural diversity, and scenery! What Costa Rica lacks in physical size, it makes up for in biodiversity. National Parks and protected areas make of 25% of the country’s land mass and over 5% of the world’s biodiversity. In other words, you’ll find more unique flora and fauna, wildlife and insect species in Costa Rica than almost any other country. Costa Rica is also made up of 12 climate zones, based on temperature and precipitation. In Costa Rica you’ll find Tropical Wet Rainforest, Tropical Dry Forests, Tropical lowlands, Cloud Forests, Mangroves, active volcanoes, beaches, waterfalls, hot springs, mountains, rivers and more. Costa Rica is split into seven different provinces or “regions”. 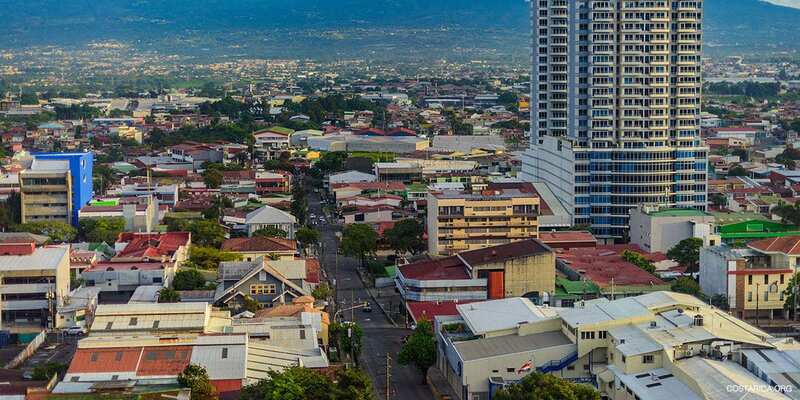 The regions are Guanacaste, Alajuela, Heredia, Limon, Puntarenas, Cartago and San Jose. Each region is made up unique climate zones and an abundance of wildlife and rainforests. The country can also be split up into different zones. For example, My Costa Rica splits Costa Rica into 8 zones: The Northern Zone, The Central Pacific, Guanacaste, Osa Peninsula, Central Valley, Caribbean, Nicoya and the Southern Zone. In the Northern Zone you’ll find popular destinations like the Arenal Volcano. In the Central Pacific you will find Jaco and Manuel Antonio. 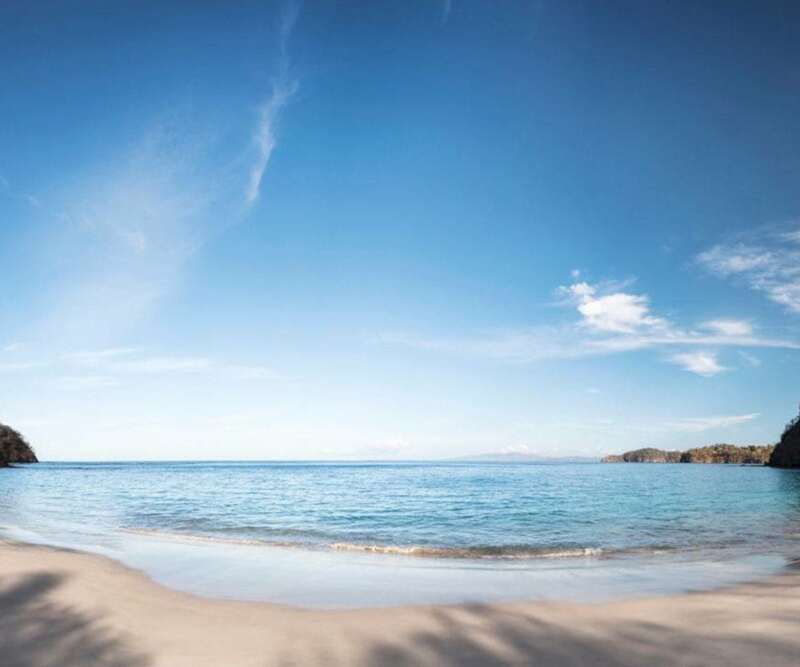 Guanacaste is home to some of the most popular beaches in Costa Rica like Tamarindo, as well as the Rincon de la Vieja national park and volcano. Drake Bay and Uvita are in the Osa Peninsula. In the Central Valley you’ll find the capital city, San Jose. 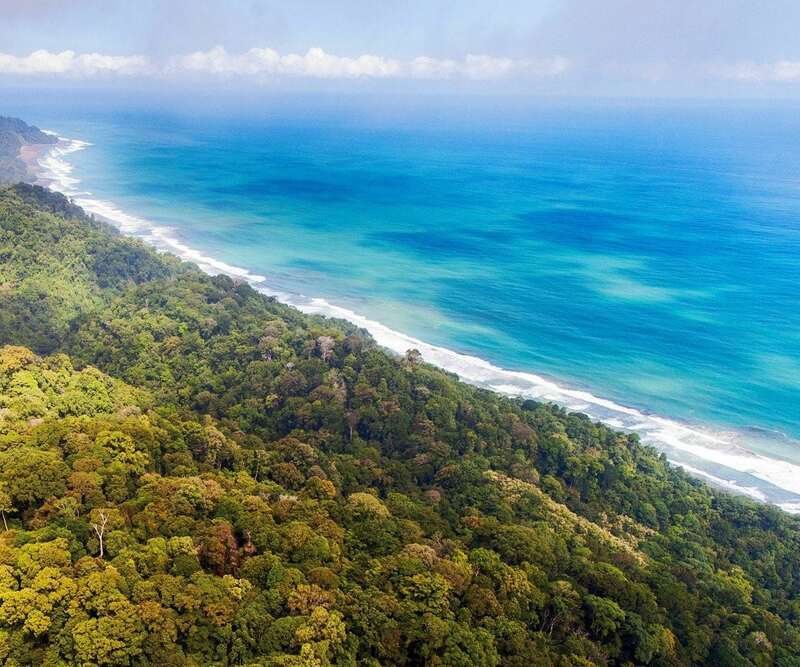 The Caribbean coast is home to Tortuguero and Puerto Viejo. In the Nicoya Peninsula you’ll find popular surfing destinations, Santa Teresa and Nosara. Finally in the Southern Zone you’ll find San Gerardo de Dota and the tallest point in Costa Rica, Cerro Chirripo. 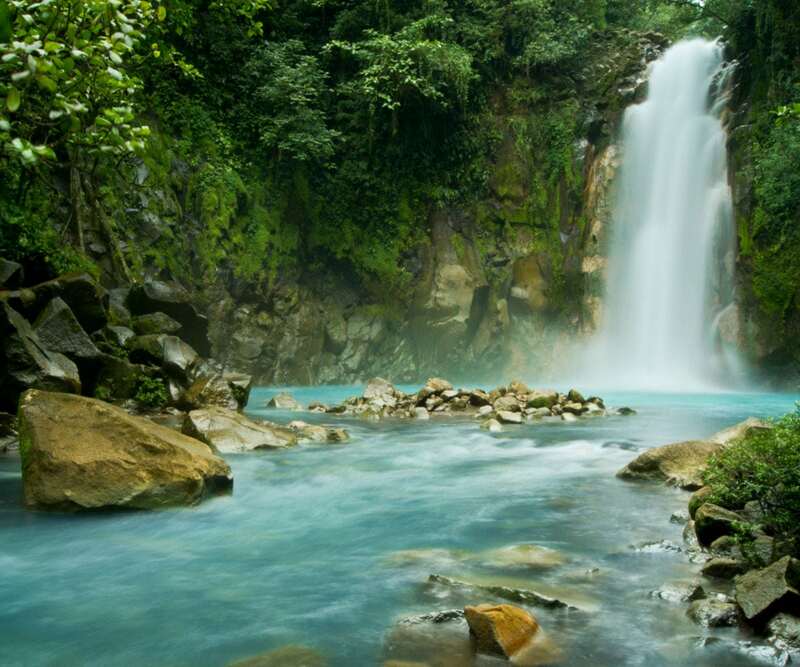 Costa Rica has several different geographical features worth mentioning. Active volcanoes are some of the most popular locations to visit. In fact, in each region of Costa Rica, you’ll find unique geographical features. Turrialba, Poas, Arenal and the Irazu Volcano are particularly impressive. Arenal is bordered by the world’s largest man-made lake, Lake Arenal. In addition to volcanoes, there are many different times of rainforests. Monteverde is a famous Cloud Forest, named for the mystical fog that drapes over the canopy at all times. In Guanacaste you will see Tropical Dry Forest. In Limon, you will see more Tropical Wet Rainforests. Both are homes to diverse wildlife. Costa Rica has over 800 miles of coastline. There are white sandy beaches, pink beaches, black and brown sand beaches and seashell beaches (like the famous Playa Conchal). The tallest point of Costa Rica is Cerro Chirripo 3,810 m or (12,500 ft) it is said from this point you can see both the Pacific and Caribbean coasts. The lowest point is the Pacific Coast, where many of Costa Rica’s most famous beaches are. Other geographical features (and popular tourist destinations) are hot springs, waterfalls, mountain ranges, rivers and mangroves. There are two seasons in Costa Rice, the dry season and the wet season. The seasons vary by region, but generally the dry season ranges from December-April and the wet season is from May-November. During the dry season tourists flock to Costa Rica from all over the world to see Costa Rica’s natural beauty and avoid the rain. Hotel rates and tour prices usually rise significantly during the dry season. During the wet season, otherwise known as the green season, the country comes alive. The lush rainforests all bloom and the whole country looks green. There are fewer tourists and more reasonable prices. The culture in Costa Rica is defined by the words “pura vida”, AKA “pure life.” Pura vida signifies how laid-back Ticos tend to be. It is sort of “whatever happens, happens” mentality. You’ll find this mentality and culture all across the country. Except when you’re driving in San the central valley. Then you’ll find Ticos to be rather aggressive. Costa Rica culture does vary by region. In the north, you will find many old farmers and cowboys. The plantations thrive with coffee, rice, and sugarcane. On the Caribbean side, you will find an extremely laid-back, reggae style much like rest of the Caribbean islands. On the Pacific side the culture is made for surfers. You’ll find several surfing communities made up of Ticos and expats who work in tourism and live to surf. In the south, the culture is rustic and natural. The further south you travel, the more wildlife and fewer wildlife you’ll find. The food in Costa Rica is based primarily on rice and beans. A popular traditional dish, usually served for breakfast is called Gallo Pinto. It’s rice and beans cooked with vegetables and many spices. It is usually served with eggs, toast, sour cream, bacon and plantains. The most famous dish in Costa Rica is called the “Casado”. It is served for lunch and dinner. It’s a hearty meal, originally made for “married men.” The dish is made up of rice, beans, a choice of meat, salad, plantains and fruit juice or iced tea. During the Christmas season tamales are traditionally eaten. Home » Costa Rica Facts » Where is Costa Rica?